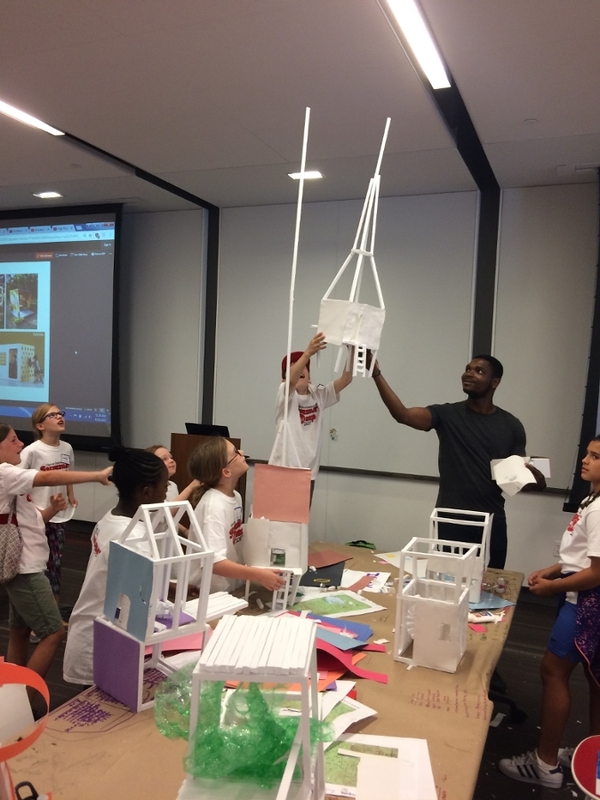 Volunteers from our DC Office recently participated in the DACkids Summer Camp, sponsored by the Washington Architectural Foundation. This weeklong summer camp program for kids ages 8-12 is an opportunity to enhance STEM (Science, Technology, Engineering, and Math) skills through creative activities taught from a design arts perspective. Tasked with designing their own playhouses, the kids engaged in lessons on structure, building materials, construction processes, and other activities over five days to encourage creative thinking using art and design skills. At the start of the week, the campers were asked to list their favorite hobbies and activities to help them decide what spaces they wanted to include in their own small scale models. They then worked to create models of their designs using foam board and paper. 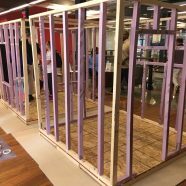 Our volunteers helped campers create a 1:1 scale mockup of a playhouse constructed out of a wooden frame, foam studs and a paper facade. 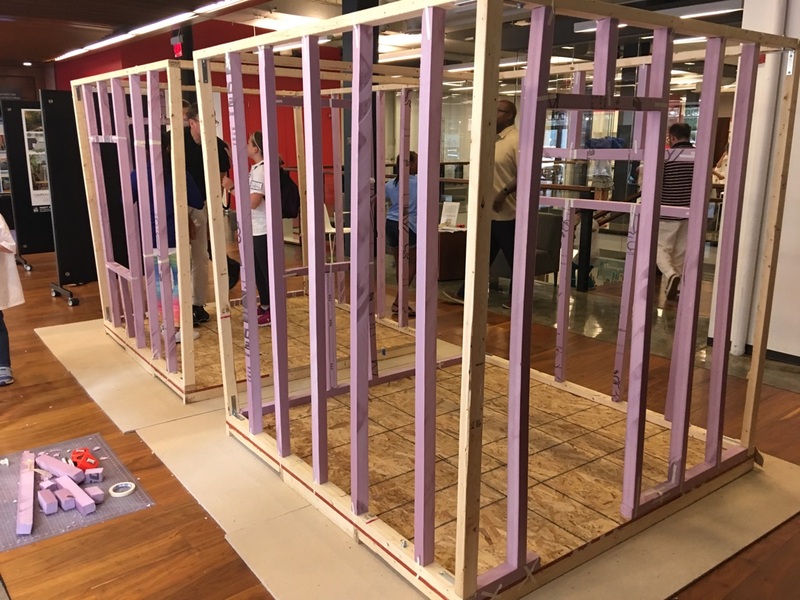 The kids also learned how to read plans and elevations, and were guided on where to measure and mark the frame to place the studs in the right places as part of the process. 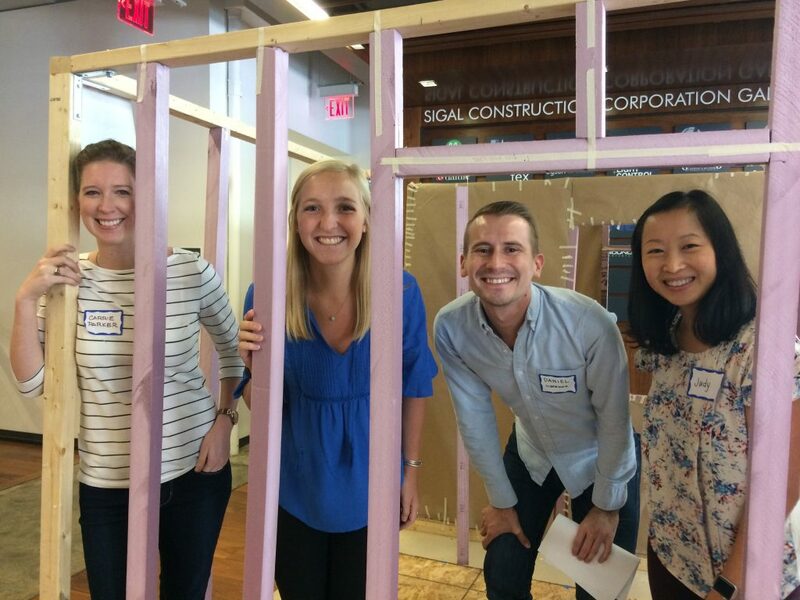 One of the highlights of the week was a scavenger hunt outside the District Architecture Center to find a series of architectural features and different components that make up a city block. The DACkids Summer Camp is not only a fun way for kids to get excited about STEM, it was also a rewarding experience for our staff. We are already looking forward to next year’s event!